If you need a real solution to the problem of installing mini-humbuckers in a guitar already machined for regular sized humbuckers, here it is. 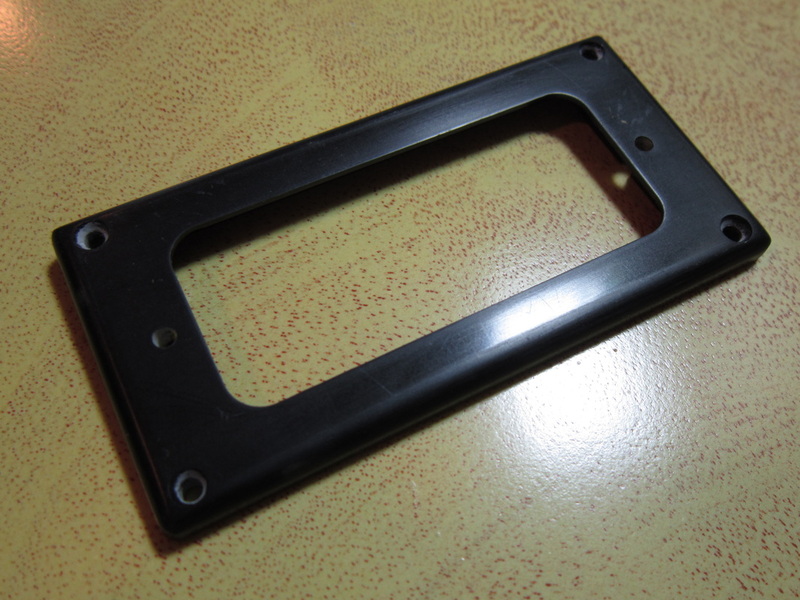 If you own a nice guitar and don’t want to simply add a flat plate on top of your existing pick up ring or use a rubber gasket, here’s a high quality way to install mini’s and have it look as close to stock as possible. 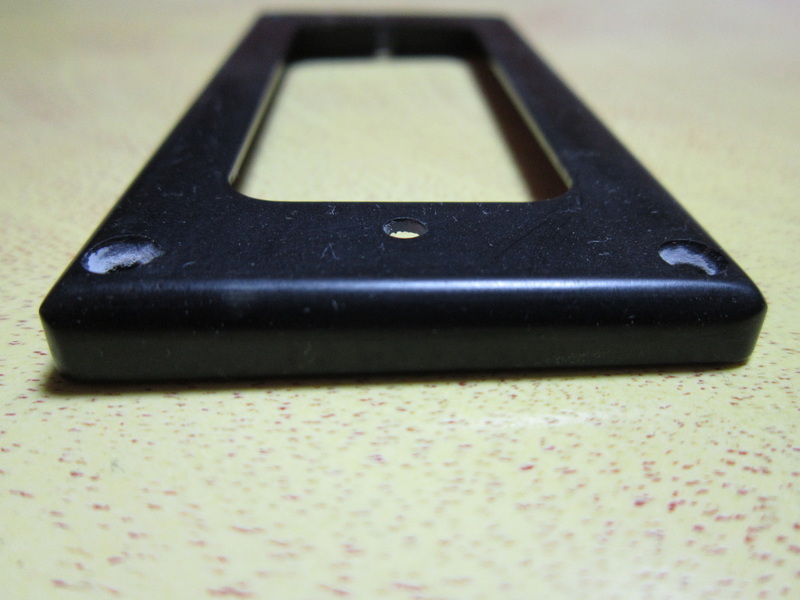 This is the best quality pick up ring available for converting a regular humbucker guitar to one with mini-humbuckers, good enough to use on your high end guitar - mounting holes to match standard USA humbucker. These rings are cnc machined from one piece of solid black bakelite and hand finished, made to exacting standards with a hand polished nitro lacquer finish. These rings are made of the same material that Fender used for the Blackguard Tele pick guards, finished in nitro lacquer the same way Fender did, they’re lightweight and extremely strong, finished in polished lacquer they have a very rich look. These rings will allow you to fit any American made (or American sized) mini-humbucker pick up like Gibson, Seymour Duncan, Lollar or Kent Armstrong with a factory look. 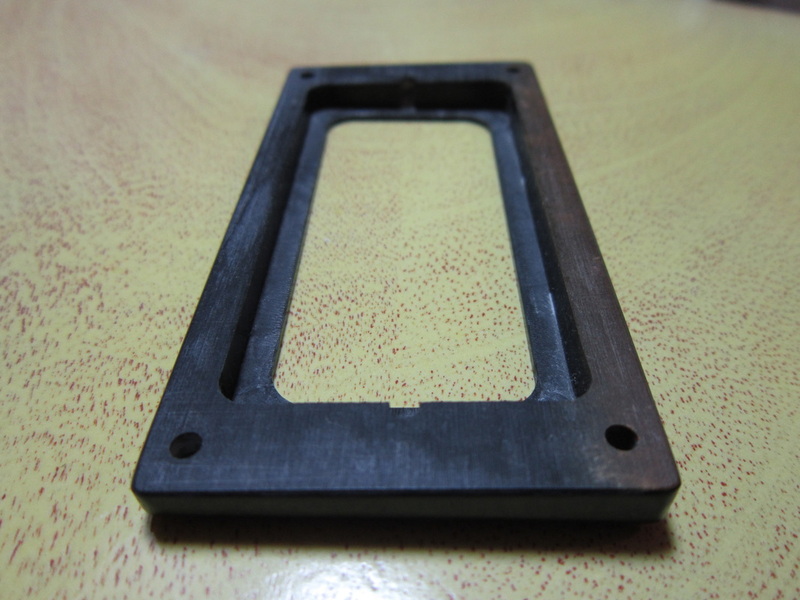 The opening for mini humbucker (which is centered within the ring) is 2.590 x 1.095 inches. *Note: these are not sized to fit a vintage Epiphone or Firebird mini’s which are larger. To order please read below and contact us. The rings come in two different heights, Low (.220 inches high) for the neck position and High for the bridge position (.310 inches high). 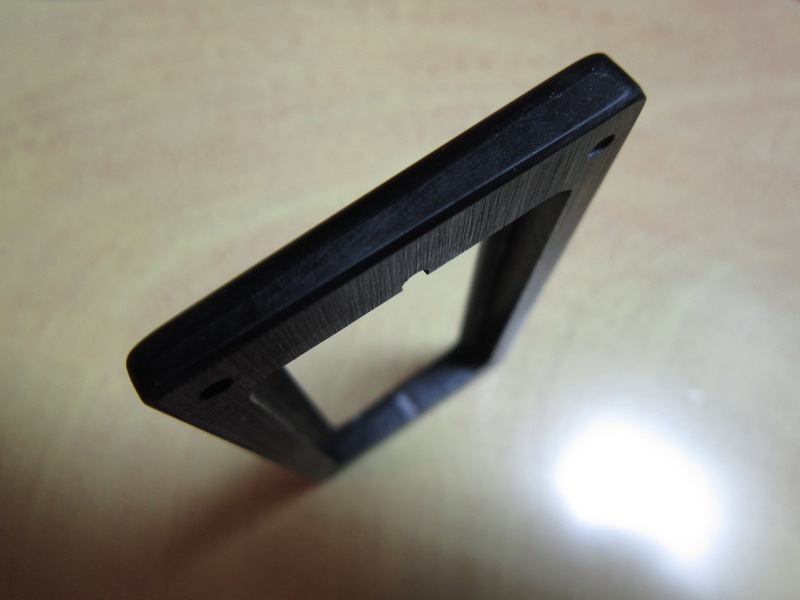 They also come angled or straight - Angled rings (tapered from .310 to .270 for the bridge position and tapered from .220 to .150 for the neck position) for a regular Les Paul or SG type guitar with a set angled neck. Straight (no taper or angle) for flat top guitars where the strings are parallel to the top. With regard to the underside, depending on the shape of the pick up plane on your guitar, order them either dead Flat, or with a slight Radius. Height for position, Low (neck position) or High (bridge position). Flat underside or Radius underside (for archtop). Shipping: this item is in stock, this item ships within 3 business days - flat rate $6.99USD to anywhere in North America, $9.99USD to Europe, contact us for a shipping quote to other destinations . WARRANTY: Items are guaranteed as described. Custom Rings for any configuration available on request - contact us for a quote.